I have to start by mentioning what happened in Colorado yesterday. There are really no words to express how horrible the whole situation is for everyone involved. I get a daily email from The Daily Love, an incredible blog written by Mastin Kipp. This morning the blog started with this prayer (actually written by Marianne Williamson) to be said at the moment of silence that was observed today. In Your hands we place our saddened hearts and troubled souls. Pour forth Your grace on Aurora, Colorado. Give comfort and healing to those who suffer, and heavenly peace to those who died. What have we become dear God, that such darkness has descended? Please purify our hearts of whatever forces would lead to this despair. What I take from all of this is to live every day as your last, which I’ve been thinking about lately. I had an incredible day Thursday, though really every day here has been amazing. After work I grabbed coffee with a friend, then ran home for a moment before going to yoga at Yoga Vida. I loved it here! I realize I’m saying that about everywhere I go, but this was amazing especially because Domenic taught the class and he is fantastic. He encouraged us to dedicate the practice to someone who believes in us and supports us in all of our wildest dreams. I dedicated mine to one of my best friends in Charlotte. It felt great practicing for her as she has done so much for me. I am grateful for friends like her. This added to my happiness of the evening. My walk to and from class I was just beaming. Walking through this city there is so much energy, so much to see, people doing all sorts of things! Also, people just seem really happy. I’ve had a few discussions lately about people who live here. To live here you really have to WANT to live here. It’s not easy, certainly not cheap, but if you want it to happen it WILL. I know that. And also you can do anything you want here, which I think adds to everyone’s happiness. I feel like most people are pretty satisfied with their lives. 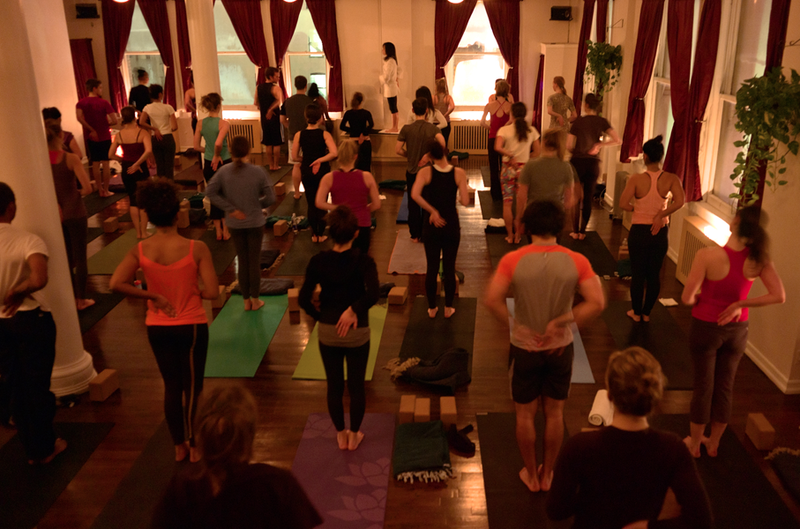 The studio at Yoga Vida in NYU area. Love it. Anyways, it was a great day and this has been a great week. I took my first true Bikram class at LES Bikram on Friday. Thankfully the weather had cooled off a bit so the 105 degrees felt ok. It is quite a different practice than vinyasa yoga, but I enjoyed it. I also was pretty instantly sore and my energy was drained, but in a good way. I experienced my first really rainy day in the city and got drenched when I came out of class, which was fine because I was already soaking wet with sweat. I even ended up taking a cab to work as the rain continued. 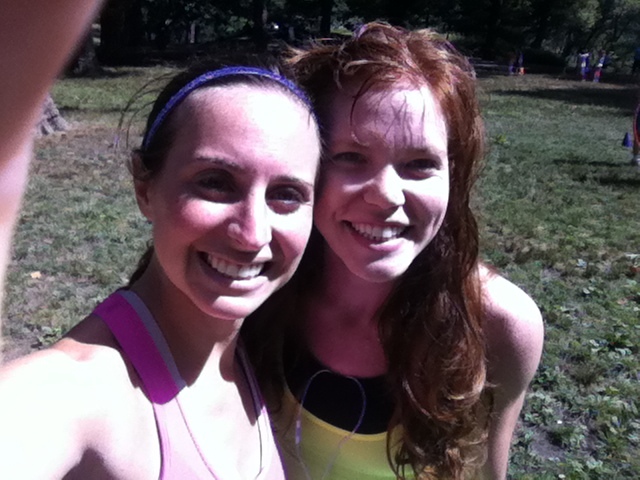 This morning Allison and I ran the Boomer’s Cystic Fibrosis 10K through Central Park. This was a similar route to last weekend’s race, but a bit longer and with an added hill. It’s the biggest hill in Central Park (I think) and I have to say I rocked it. I really love running up hills, and it definitely wasn’t as brutal as some hills in CLT and ATL. My legs were dead the last two miles of the race thanks to the almost six miles we ran before the race. It felt wonderful to get a long run in as my marathon is in just over three months. The weather was perfect and BEAUTIFUL. I’m off to enjoy it! infos. I would like to peer extra posts like this .